What? 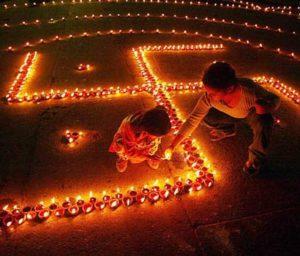 Diwali is one of the biggest Hindu festivals and is celebrated for five continuous days. The 3rd day is known as the ‘Festival of Lights’, a day when people light lamps and candles all over their houses, shops and restaurants. Colourful varieties of fireworks fill the sky in a celebration of the triumph of light over darkness, good over evil. Diwali is also a time for exchanging gifts, with the giving of traditional sweets making it a favourite time for children! What? 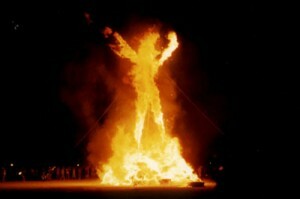 This inclusive unique event takes place city in the remote Nevada desert and culminates in the burning of a large wooden effigy, hence the name. It attracts 50,000 visitors from all over the world and is based on ten principles which include ‘decommodification’ (few cash transactions are permitted, gifting is encouraged) and ‘leave no trace’ (the site must be left in the same or better condition than upon arrival). The Burning Man official website describes the event as being ‘dedicated to community, art, self-expression and self-reliance.’ If you want an antidote to the stress and pressure of modern life, this could be the event for you. What? A rare and dramatic event when the moon passes between the sun and the earth, suddenly descending the day into night. The largest city to experience this total eclipse will be Cairns (Australia), with Auckland in New Zealand and Santiago in Chile expected to experience partial eclipses too. What? 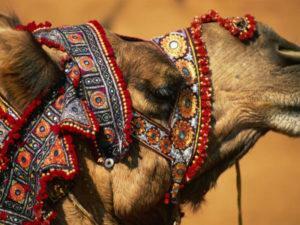 This is an incredible spectacle, with as many as 20,000 camels, horses and cattle. More than 300,000 people are drawn to this amazing event every year, the highlight of which is the camel trading and races. The ancient town of Pushkar and its beautiful lake are transformed into a magical fairground, a truly once in a lifetime experience. What? This party hardly needs an introduction! It’s the most famous carnival in the world, with up to 2 million people taking to the streets of Rio each day. It’s noisy, hectic and incredibly colourful, with a carnival parade filled with people and floats from various samba schools, with each float fiercely competing to be the best. It’s an amazing experience just to be on the streets of Rio at carnival time to soak up the incredible atmosphere. Book your accommodation early – carnival time is notoriously busy!